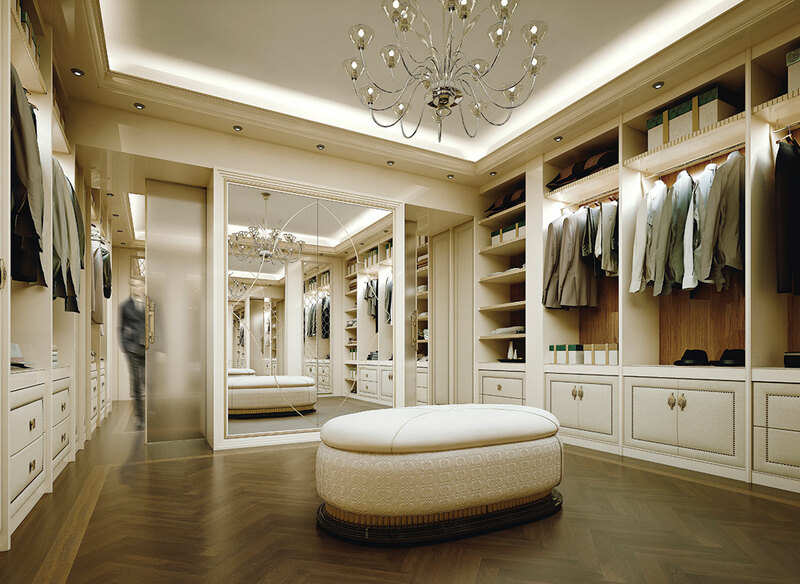 If clothes make the person, than a beautiful custom Italian closet can showcase your personal style and reveal your care for them. We partnered with the best Italian luxury closet manufactures that have more than 60 years of experience in designing and making classic styled pieces. The collections are endless, but they can be personalized and tailored to your needs to make organization an integrated part of your life. Take advantage of every square foot and amplify your space with: walk-in closets, wardrobes, sideboards, wall units and tables. Take a moment to luxuriate in the collections that show the craftsmanship of the woodwork, that are like pieces of art. 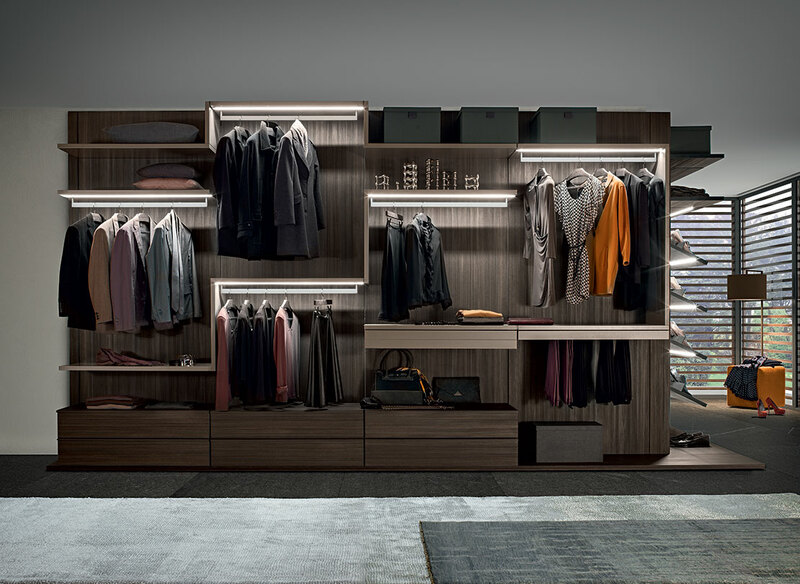 Let us bring organization to your clothes from the latest Italina modern closet collections, with custom features that create a designated place for every item. We can help you choose the right color and finish from: 106 lacquered colors, glass, wood color, stone and metal essences. Additionally, we can re-create your workspace into the next level home office with lighting and hardware to foster an efficient and enjoyable atmosphere. We believe that when your belongings are easily viewable and beautifully organized, life will simply feel better.